Toddlers learn to swim better in a fun environment, which is why at StyleSwim we are dedicated to creating a safe and fun environment for toddler swim lessons. Our instructors and our swim class students find this the perfect environment for learning. Expert instructors, a nationally recognized curriculum and a toddler friendly environment enhance your child’s learning to swim. Toddler swim instruction can help save lives. At StyleSwim, we are aware of toddlers’ needs and short attention spans. Thus, we provide toddler Private Swimming Classes with a shorter duration in order to improve their focus and develop a willing to learn attitude. Furthermore, all of our toddler swim classes are maxed at 4 students creating a smaller class size that ensures equal attention is given to each toddler. You may be hesitating because you might be worrying about how your child is going to cope with swimming lessons at such a young age. 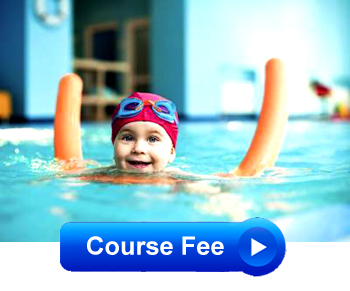 Rest assured we have highly trained instructors who love teaching toddlers to swim. For parents who prefer a more personal toddler swim class, they have the option of choosing a Private Swimming Lessons. This gives your child full attention. On the other hand, for parents who prefer their child to share the joy and experience with other toddlers, the group swim lessons are ideal!